Needless to say, despite the fact that it was only sold in packs of two 500 mL sizes and our very limited luggage space, I had to get it. And I was super excited to try it when I got home. Maybe I was too excited — I was actually underwhelmed by it at first. 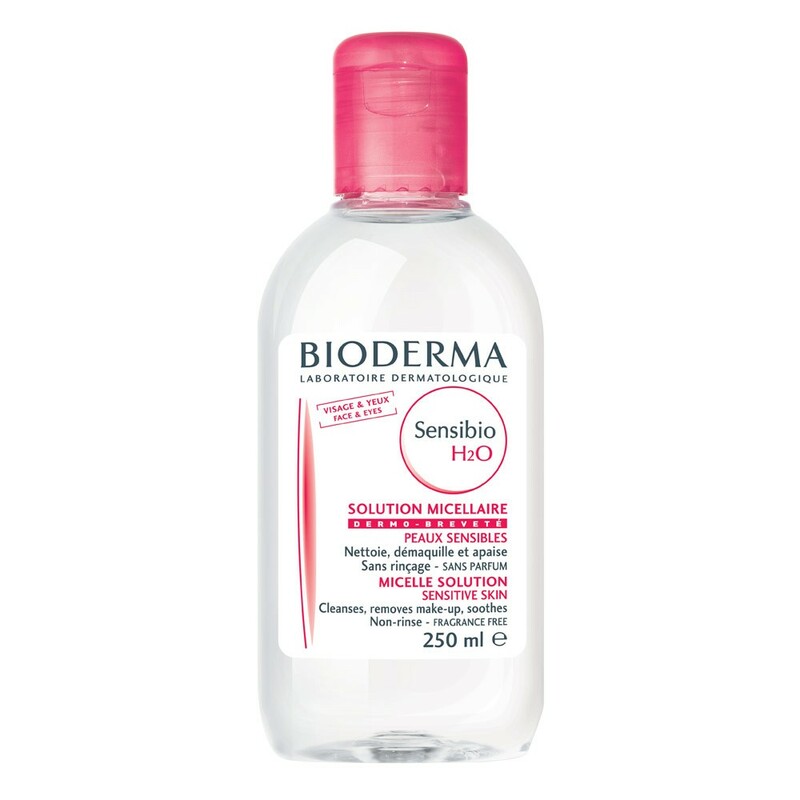 It may have been because I had been using a couple micellar water cleansers before I tried Bioderma. Micellar water contains tiny micelles, which are oil molecules suspended in water that draw out dirt and oil and dissolve them without drying out skin. Use a cotton pad (don’t use a cotton ball — you’ll get little filaments in your eyes, and you’ll need the real estate to cover your entire face), sprinkle about five drops onto it and gently swipe across skin. I like to remove my foundation first, using both sides of the pad, before using a second pad to gently press on each eye for about 5 to 10 seconds to “melt” water resistant eyeliner and mascara so you won’t have to swipe so hard. It usually takes a few passes to fully remove mascara, since you want to be gentle. Generally, it takes a minute to get all my makeup off (it’s that fast! ), and though you don’t have to rinse micellar water cleansers, I double cleanse so I’ll always finish with a gentle cleanser and a facial brush. So for those who can’t get to Paris, or if you’re looking for a good alternative, here are my reviews of Bioderma and other micellar water cleansers readily available in the States. Ingredients: Cucumber extract, xylitol and only eight other ingredients. Pros: Foundation comes off easily, and after a few passes, mascara and water resistant gel liner are gone. 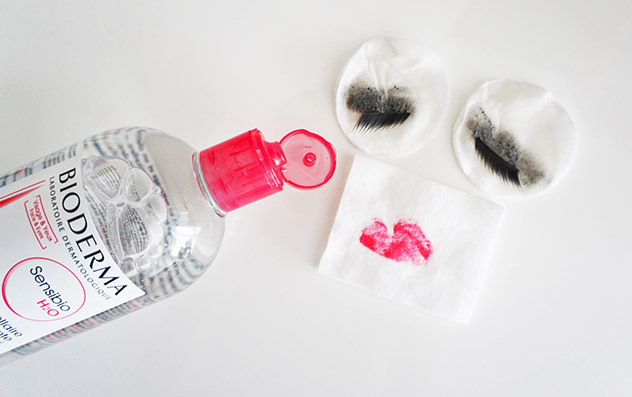 This doesn’t sting my eyes at all, and I can even clean my waterline with no problems. Afterwards, skin feels soft and clean, and ounce for ounce, you can’t beat the price. I like that there’s no discernible scent. Cons: This squirts out a little too much if you squeeze the bottle, so make sure to tap onto the cotton pad. You’ll need to do several passes for water resistant eye makeup, and I find with this, I need to pull a little more than I’d like. I also find that in the morning, not every trace of eye makeup has been removed — trace elements of liner had settled between my lower lashes. Barring a trip to France (or some other European country), you can only buy Bioderma on a few online sites, which is always a cause for hesitancy in my book. Pros: One of the better makeup removers I’ve tried, and not just in the micellar water category. This removes mascara and water resistant eye makeup with just a few gentle passes. Just don’t oversaturate the cotton pad when cleaning the waterline — a sudden surge of this into your eyeball will cause stinging. Though the “stiffer” bottle discourages squeezing and, therefore, accidental oversaturation of the cotton pad, limit it to about two to three taps on the pad, and make sure to hold the pad on each eye for about five to 10 seconds. There’s a slight “herbal” scent that is not at all unpleasant. This is available at Sephora, which is a plus for their easy return policy. Cons: Really, not much, other than the fact that it’s double the price of Bioderma. Ingredients: Infused with mineral-rich hot spring water and six essential herbs: rosemary leaf, sage leaf, lavender, Japanese mugwort leaf, perilla and ginger root. White birch sap, harvested only three weeks each spring, adds minerals and xylitol. Pros: My absolute favorite makeup remover, topped only by the brand’s Cleansing Spa Water Wipes for the convenience. This never stings my eyes, it removes everything with a little less pulling than other micellar waters. And I love all the anti-aging and nourishing add-ons. It’s also available at Sephora. Cons: Ounce for ounce, it’s about twice as much as Bioderma. Ingredients: Sea lavender oil, chamomile, bergamot and rose and mint essential oils. Pros: This takes off foundation just fine. Cons: For eyes, however, this created a major raccoon eye situation, smearing my water resistant eyeliner and mascara into bigger and bigger black circles around my eyes. I had to use another eye makeup remover just to get the mess off. This has a fairly strong herbal scent that may or may not put you off. And a quick Google search revealed few brick-and-mortars that carry this, and ounce for ounce, this is the priciest of the bunch. I’d love to know what other micellar waters you’ve tried, and what your favorites are! 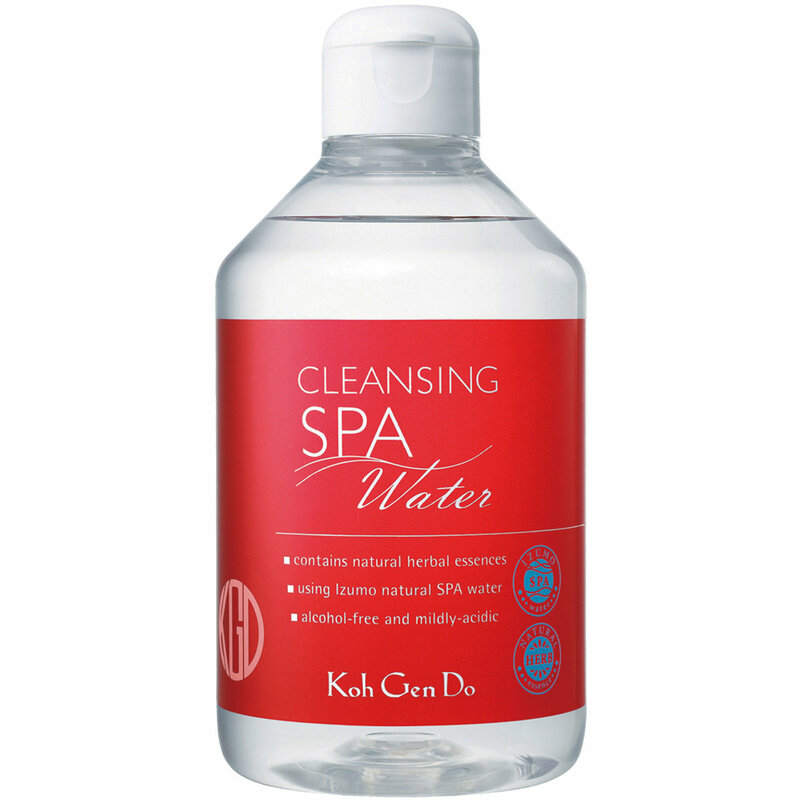 As for me, it’ll take me a while to get through the giant bottles of Bioderma, and for now, I’m quite happy with Koh Gen Do. Interested in trying a micellar water cleanser for yourself? Click here to buy my favorite micellar waters! I use and love the first 3 also!